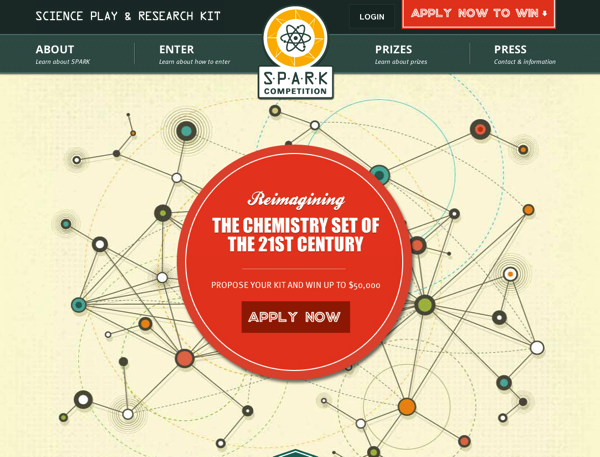 The SPARK (Science Play and Research Kit) Competition: A Call for Reimagined Science Kits « Adafruit Industries – Makers, hackers, artists, designers and engineers! SPARK is a project of the Society for Science & the Public, in collaboration with the Gordon and Betty Moore Foundation that will inspire adults, through the challenge of competition, to generate a new set of experiences and activities that capture children’s imagination in science, spark and fuel their interests, and foster persistent curiosity and creativity. To be clear, we’re interested in science beyond chemistry. We borrow this term to capture the spirit and magic of what the classic chemistry set spawned in the 1940s – 60s. We’re looking for ideas that can engage kids as young as 8 and inspire people who are 88. We’re looking for ideas that honor kids’ curiosity about how things work.